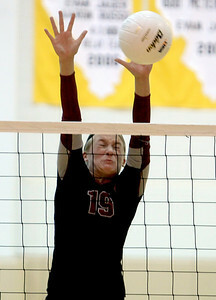 Prairie Ridge won Thursday's Class 4A Jacobs Sectional volleyball final against Boylan in Algonquin on November 1, 2012. Prairie Ridge won, 2-1. Sarah Nader - snader@shawmedia.com Prairie Ridge's Ali Witt jumps to block a ball during Thursday's Class 4A Jacobs Sectional volleyball final against Boylan in Algonquin on November 1, 2012. Prairie Ridge won, 2-1. 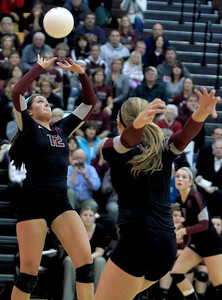 Sarah Nader - snader@shawmedia.com Prairie Ridge's Taylor Otto jumps to block a ball during Thursday's Class 4A Jacobs Sectional volleyball final against Boylan in Algonquin on November 1, 2012. Prairie Ridge won, 2-1. 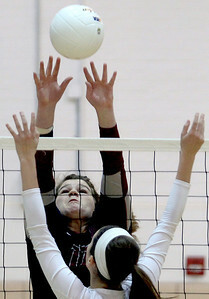 Sarah Nader - snader@shawmedia.com Prairie Ridge's Maddie Drain jumps to block a ball during Thursday's Class 4A Jacobs Sectional volleyball final against Boylan in Algonquin on November 1, 2012. Prairie Ridge won, 2-1. 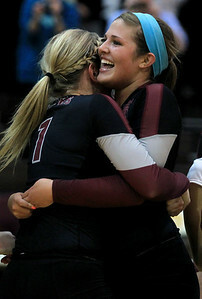 Sarah Nader - snader@shawmedia.com Prairie Ridge's Mackenzie (right) Humm hugs her teammate,Caitlin Brauneis after winning Thursday's Class 4A Jacobs Sectional volleyball final against Boylan in Algonquin on November 1, 2012. Prairie Ridge won, 2-1. 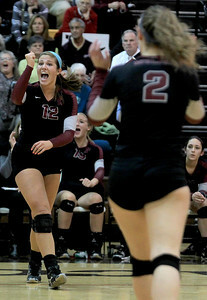 Sarah Nader - snader@shawmedia.com Prairie Ridge's Mackenzie Humm (left) celebrates a point during Thursday's Class 4A Jacobs Sectional volleyball final against Boylan in Algonquin on November 1, 2012. Prairie Ridge won, 2-1. 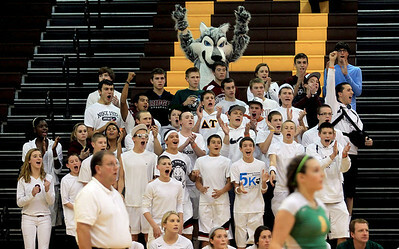 Sarah Nader - snader@shawmedia.com Fans cheer on their team during Thursday's Class 4A Jacobs Sectional volleyball final against Boylan in Algonquin on November 1, 2012. Prairie Ridge won, 2-1. 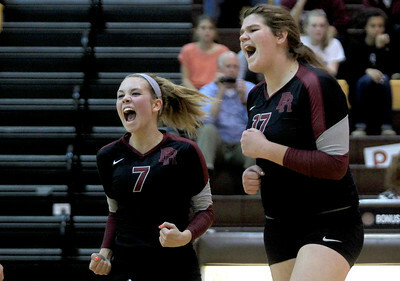 Sarah Nader - snader@shawmedia.com Prairie Ridge's Taylor Otto (left) and Maddie Drain celebrate a point during Thursday's Class 4A Jacobs Sectional volleyball final against Boylan in Algonquin on November 1, 2012. Prairie Ridge won, 2-1. 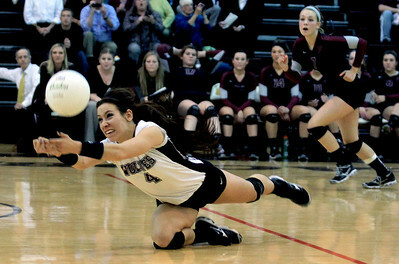 Sarah Nader - snader@shawmedia.com Prairie Ridge's Paige Dacanay dives for the ball during Thursday's Class 4A Jacobs Sectional volleyball final against Boylan in Algonquin on November 1, 2012. Prairie Ridge won, 2-1. Sarah Nader - snader@shawmedia.com Prairie Ridge's Taylor Otto celebrates after winning Thursday's Class 4A Jacobs Sectional volleyball final against Boylan in Algonquin on November 1, 2012. Prairie Ridge won, 2-1. 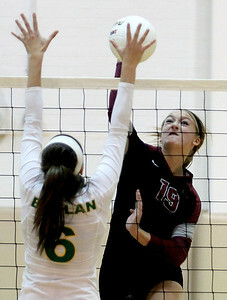 Sarah Nader - snader@shawmedia.com Prairie Ridge's Maddie Drain jumps to block the ball during Thursday's Class 4A Jacobs Sectional volleyball final against Boylan in Algonquin on November 1, 2012. Prairie Ridge won, 2-1. 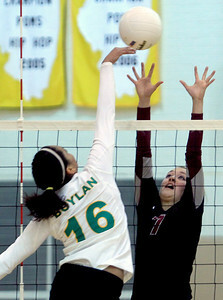 Sarah Nader - snader@shawmedia.com Boylan's Bridget Guinane (left) jumps to block the ball hit by Prairie Ridge's Ali Witt during Thursday's Class 4A Jacobs Sectional volleyball final in Algonquin on November 1, 2012. Prairie Ridge won, 2-1. 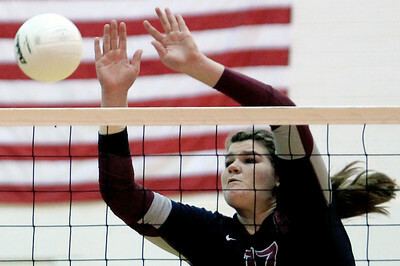 Sarah Nader - snader@shawmedia.com Prairie Ridge's Maddie Drain hits the ball over during Thursday's Class 4A Jacobs Sectional volleyball final against Boylan in Algonquin on November 1, 2012. Prairie Ridge won, 2-1. 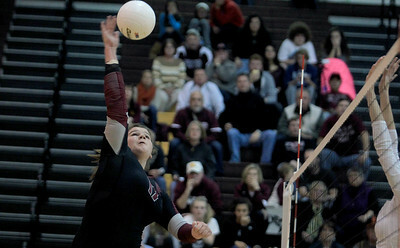 Sarah Nader - snader@shawmedia.com Prairie Ridge's Mackenzie Humm sets the ball during Thursday's Class 4A Jacobs Sectional volleyball final against Boylan in Algonquin on November 1, 2012. Prairie Ridge won, 2-1. 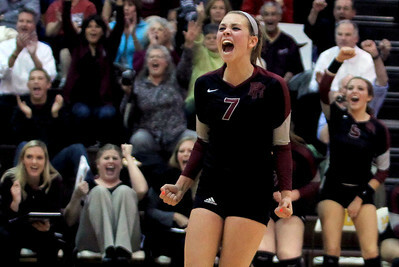 Prairie Ridge's Taylor Otto celebrates after winning Thursday's Class 4A Jacobs Sectional volleyball final against Boylan in Algonquin on November 1, 2012. Prairie Ridge won, 2-1.